The Model 975 Combo Roll Groover is two tools in one. 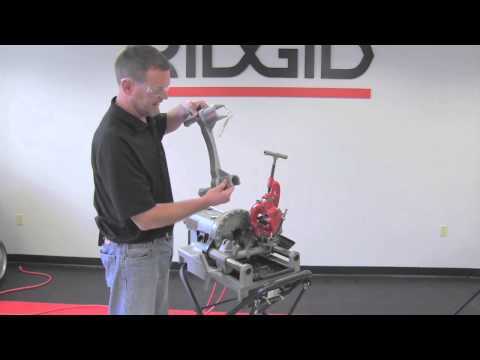 Like other RIDGID® roll groovers, the 975 mounts on the RIDGID 300 Power Drive for machine-powered roll grooving jobs. It also designed to manually roll groove in-place pipe. Auto Tracking & Depth Setting Gauge Means Easier Use - The 975 Combo Groover includes new, patented auto tracking technology for significantly easier grooving. Whether you're doing machine-powered or manual grooving, the AutoTracking gauge keeps the pipe automatically engaged to the groover throughout the grooving process. The 975 also includes a permanently depth setting gauge for quicker, repeatable set-up. Durability And Portability - A tough, ductile iron construction means the 975 can absorb jobsite abuse and provide accurate grooves time after time. A cast-in handle makes the 975 easily portable to and from the jobsite. Capacity 1 ¼” – 6” Schedule 10 and Schedule 40 steel, aluminum, and PVC pipe. Depth Adjustment Adjusting screw and integral, index depth gauge. Actuation Feed screw with 1/2" ratchet wrench (included), or any 15/16" hex wrench. 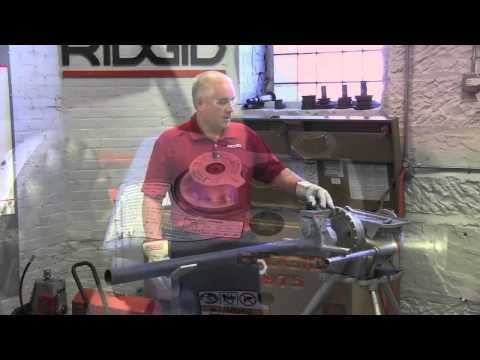 Power Drive Mounting RIDGID 300 Power Drive 38/57 RPM (reverse direction only). 975 Combo Roll Groover is rated 5.0 out of 5 by 7. Rated 5 out of 5 by Timothy from I contemplated this purchase for several years, but had purchased an off brand roll groover instead. Now that I have used the 975, I wish that I had made the purchase eight to ten years earlier. Solid piece of equipment. I don't think you'll go wrong if you purchase the 975, don't hesitate like I did. Rated 5 out of 5 by Sprinkler8862 from Once you read the instructions,the product is very user friendly. 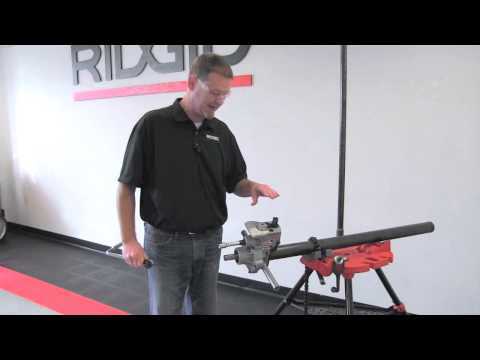 The 975 combo Groover is a essential tool for our service department.We can utilize the various use of the 975 Groover in our daily activities and can be stored in our tool lineup,due to its compact size.I have personally used this product for larger projects,emergency service work and even in-shop fabrication.This is a product of Ridgid Tool and we will continue to use these tools in the piping industry.Thanks for the GREAT product! Rated 5 out of 5 by TheSprinklerGuy from Durable and very mobile We are a Fire Sprinkler Service and Installation company and we keep one in each truck. We cannot get the job done without it. Its durable and easily moved from machine to using it in the air or where ever you need it. 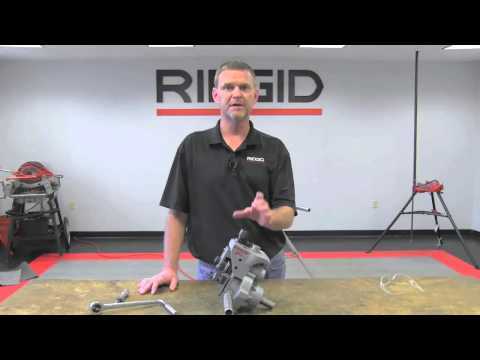 Highly recommended by this company and will continue to use Rigid simply because they understand the work we do and have the tools to get it done right and, in a lot of cases, quickly. Sometimes we do not have time to mess with complicated tools we need to get to the service call, assess the situation and perform the necessary work and Rigid is right there! Thanks Rigid, Keep up the Great Work! Rated 5 out of 5 by Andy6211 from Does not roll off pipe! Many other groovers tend to roll off the pipe when grooving. This groove or however is easy to use on the machine as well as in the air grooving on a piece of pipe that is already installed. Will not fit into tight spaces like the 915 Roll groover but definitely recommended for quick fabrication of pipe! Can the 975 me run off of a 801 theader ?